It's simple but feels full too. Just enough personality for the space. Love it! Love the space. Just perfect. 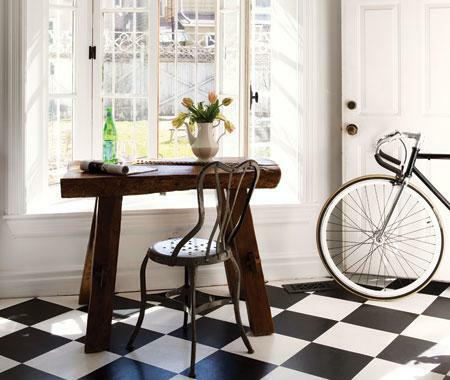 I like the rustic with the classic black and white floors. It feels cozy! Perfect place to sit and look out on a pretty day. What a great space!! Looks like a side entry way? Loving it all the way. I've always loved these black and white floors..., and once had one in the hallway/kitchen in my very first (tiny) apartment in Zurich. I love that little desk... it's just perfect! 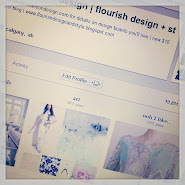 Thank for visiting & becoming a follower of my blog. I love your blog as well! Oh I just love that entire combination, it works so well!